Student Well-Being Liaison Angela Castellanos leads a WhyTry training seminar for a group of master- and bachelor-level social work interns who are providing on-campus counseling and case management to students across the district. WHITTIER – The Whittier Union High School District is expanding its award-winning mental health program at Santa Fe High School to all schools districtwide, with the expansion of wellness centers, counseling services and overall support for students who are experiencing barriers to their personal and academic achievement. Following the success of Santa Fe’s Serenity Program, which won a Golden Bell Award in 2013, the district is launching a Student Well-Being Program under its Mental Health Initiative, which involves 16 master- and bachelor-level social work interns who are providing on-campus counseling and case management, expanded partnerships with community agencies, the implementation of an online referral system and staff training on threat assessment. Through a widely inclusive process, the district identified wellness services as a priority under its Local Control and Accountability Plan (LCAP), a blueprint that outlines how the district will target services for its greatest student needs. The program is modeled after Santa Fe’s Serenity Program, which was established in 2006 and includes individual and group counseling, case management, classroom presentations and parent education sessions, as well as partnerships with local universities such as Whittier College, USC and Azusa Pacific University, among others. 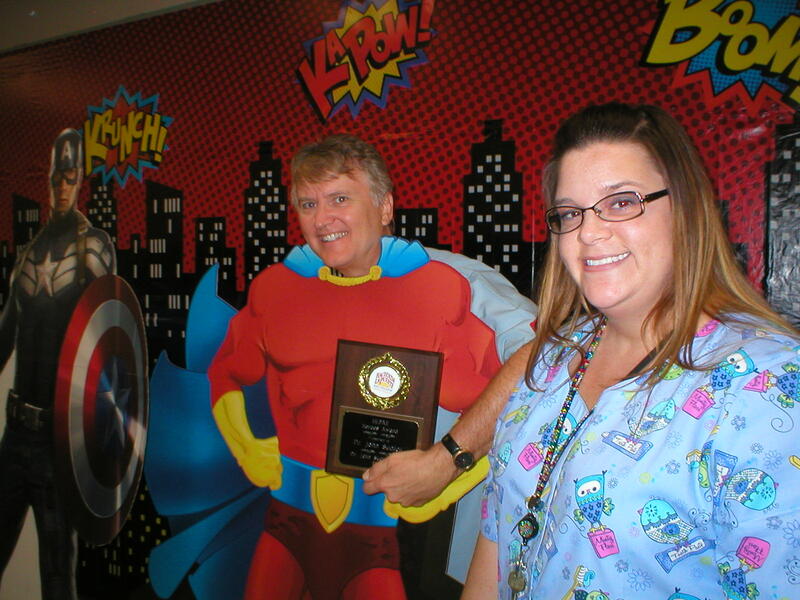 Under the leadership of counselor and licensed clinical social worker Angela Castellanos, the Serenity Program was recognized with the prestigious Golden Bell Award for increasing student attendance rates and test scores and decreasing discipline cases. Castellanos is now leading Whittier Union’s efforts to expand similar mental health services across district schools as the new Student Well-Being Liaison. Joining Castellanos in moving the program forward is Larson, a licensed clinical social worker with a background in mental health, and District Mental Health and Community Services Liaison Jack Ketchem, a licensed marriage and family therapist with a credential in counseling. In an effort to strengthen the program, the district has partnered with several local community agencies, including Los Angeles Centers for Alcohol and Drug Abuse, which provides drug and alcohol counseling services at all schools; Pacific Clinics, which provides behavioral services at Santa Fe and Pioneer high schools; and The Whole Child, which operates an integrated school health center, dubbed “The Gallery,” on the Whittier High School campus. Administrators, counselors and staff at each school site have undergone extensive training in suicide and threat assessment, led by school psychologist Stephanie Murray, an integral member of the district’s Crisis Response Team and suicide prevention education. Teachers also received training on how to refer students to services available through the program. Crisis response training is scheduled in the spring. In collaboration with each school’s counseling staff, interns are coordinating mental health-related presentations for parents and students, with a suicide prevention training being offered to La Serna High School parents this month. California and Santa Fe high school parents received similar training last year. Additionally, Whittier Union has partnered with APU for grant proposal writing and received a $10,000 grant from Kaiser Permanente to administer the WhyTry program, which has enabled teachers and staff from the district’s intervention programs to undergo training on how to motivate at-risk students to achieve in school. An educational program on addiction presented by Dr. Sheila Khaleghian of the Intercommunity Counseling Center and Mark Scott of H.O.W. House will be presented from 11 a.m. to 3 p.m. on four Saturdays, Nov. 15 and Nov. 22 and Dec. 6 and Dec. 13 at 7702 Washington Ave. in Whittier. There is a $5 donation per person. The presentations are designed to increase knowledge on the topics of addiction and addiction treatment; addiction and family dynamics; to learn, practice and apply coping skills; provide resources for individuals and families struggling with addiction and creating a safe and supportive environment. 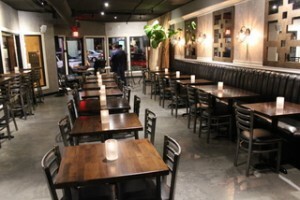 For information call Scott at 888-599-4208. 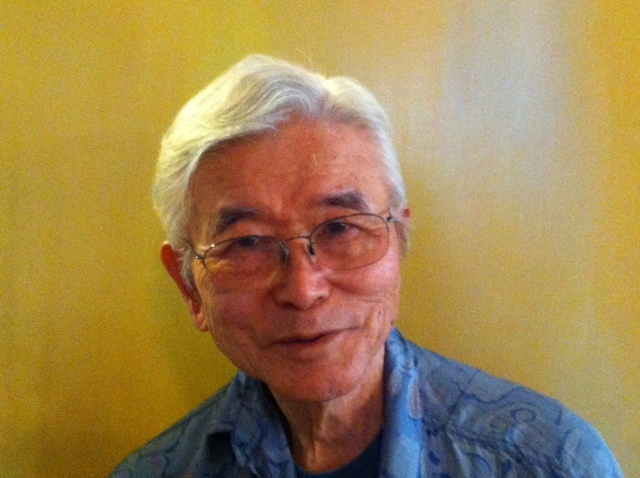 Yoshio Nakamura in the present day. 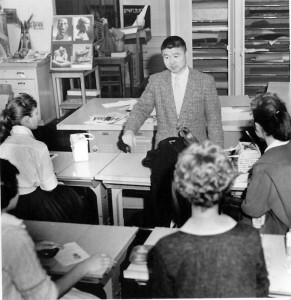 “Yosh” Nakamura teaching art class at Rio Hondo College in the 1960s . WHITTIER – Rio Hondo College’s Yoshio Nakamura taught high school and college students about creating art for more than four decades – sharing the unique perspectives that drove the dramatic images he created on canvas, paper and through sculpture. Now, 22 years after retiring as Rio Hondo’s vice president of community services and institutional development, Nakamura continues to share important lessons on life and art. 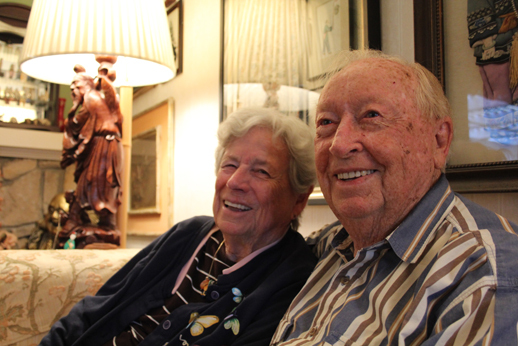 Nakamura and his wife, Grace Shinoda Nakamura, are among a dozen Angelenos ages 59 to 100 whose philosophies and tips for aging gracefully are featured in the November edition of Los Angeles Magazine. Grace Nakamura, 87, an artist and retired educator, adds, “I believe that you can have a fulfilled life if you try to think positively and make the most of situations, if you try to live by the Golden Rule, if you’re accepting of people, if you try to give service to others,” she told the magazine. It’s a lesson Yosh Nakamura learned early on. At age 16, he was interned with other Japanese-Americans at the Tulare Assembly Center, a converted racetrack near Fresno. He was later relocated to a camp in Arizona, where he reported for active duty in the U.S. Army in 1944. Nakamura was sent to France and Italy, where he served with the 442nd Regimental Team, a unit made up of Japanese-Americans. He was assigned to a heavy-weapons group, using deafening mortars and machine guns to wage war. In 2000, 20 members received the Medal of Honor, the nation’s highest military honor. In 2011, the unit was awarded the Congressional Gold Medal, the highest U.S. civilian honor and Nakamura received the Bronze Star. 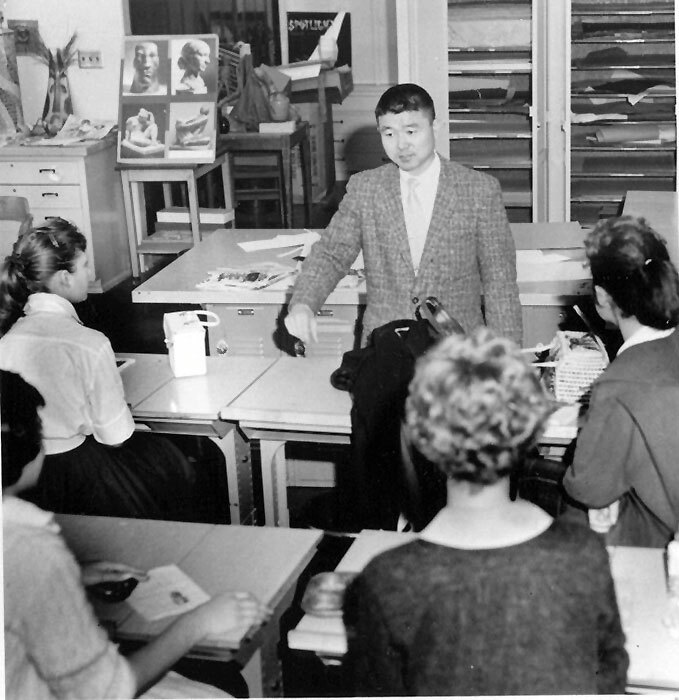 In 1952, Nakamura earned his bachelor of fine arts from USC and began teaching at Whittier High School while he worked to complete his master of fine arts. In 1960, he was named Teacher of the Year by the Whittier and the San Gabriel Valley Federation of Women’s Clubs. In 1963, Nakamura joined the first faculty as fine arts chairman of the newly opened Rio Hondo College and, in a very real sense, found his home. 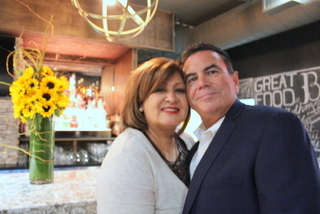 Over the next 29 years, he added a series of administrative duties to his teaching role, becoming a dean and eventually a Rio Hondo College vice president. His stamp can be seen across the college community, from the fine arts program to the Learning Assistance Center, from the fitness center to the campus gallery. All three of his children have attended Rio Hondo. These days, Nakamura doesn’t seem to have slowed much. Since retiring, he has dedicated himself to his art, but also found time to volunteer for a number of art-centered community groups, including Whittier’s Art in Public Places Committee and Cultural Arts Commission. In January, he will join a handful of other veterans atop the City of Alhambra float in the 126th Tournament of Roses Parade. The “Go For Broke” float honors the Japanese-Americans who served during World War II while their family members were interned. In February, Nakamura will be one of two featured artists at the Hillcrest Congregational Church’s 55th annual Festival of Fine Arts – an event he has been involved with since its inception. In April, he will be inducted into the Whittier High School Hall of Fame – an honor that recognizes the scope of Nakamura’s impact – a role so strong students still stop him to say how much his classes influenced their lives. Nakamura is also focused on an issue closer to home. His grandson, Kai Nakamura, is struggling with a heart illness that is currently untreatable. But, in keeping Grace and Yoshio Nakamura’s trademark positive outlook, the family has turned to YouTube to raise awareness and funds to help find a cure. See their video appeal at See their video appeal at https://www.youtube.com/watch?v=2C8LMga8BRU.